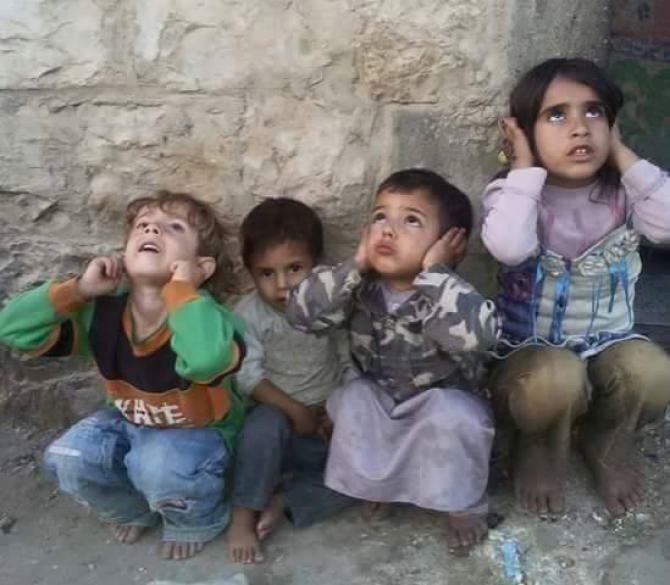 As noted by numerous commentators on the Middle East, the situation in Yemen remains very grave. The country has been devastated by the armed conflict being waged between the Houthis and the troops of ousted President Mansour Hadi, which in turn are being heavily supported by the air forces of the so-called Arab coalition led by Saudi Arabia. Posted in Saudi Arabia, YemenComments Off on Who is Responsible for the Suffering of Yemen? the issue is still alive due to continued struggle of the Kashmiri people. On January 26, 1930, the Indian National Congress proclaimed the declaration of Independence. by continuing undemocratic injustices in relation to the Kashmiris. integral part of the Indian union. war of liberation which New Delhi tried to crush through various forms of brutalities. repressive regime in the Occupied Kashmir through various machinations. the dynamics of the freedom movement of Kashmiris for the sake of their alien rule. new spirit among the Kashmiri people. January 15, 2016 is a day Swedish Foreign Minister Margot Wallström likely won’t forget for a good long while. It was the day she came under attack by media in both Sweden and Israel. I have written about Wallström several times previously (see here, here, and here), and for good reason: she is one of the few public officials on the world stage today with the courage to speak the truth about Israel. In November Wallström infuriated “the only democracy in the Middle East” by suggesting that the plight of Palestinians could be helping to fuel the pestilential takfiri ideology currently wreaking havoc in the in the region, even going so far as to speculate that it might–perhaps–possibly–have even been a factor in the Paris terror attacks. Angry statements denouncing her were issued at the time by various Israeli officials. 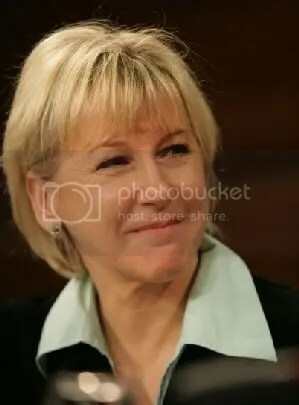 Then earlier this month Wallström set off another Zionist tempest by again invoking the extrajudicial executions, but this time, in remarks before the Swedish Parliament, accompanying her observations on the matter with a call for an international investigation. “It is vital that there is a thorough, credible investigation into these deaths in order to clarify and bring about possible accountability,” said the courageous Ms. Wallström on January 12. Three days later, on January 15, the media firestorm began, with media outlets in both Sweden and Israel airing allegations of Wallström’s involvement in public corruption. Most of the outlets seem to give the hat tip for the “scoop” to Aftonbladet, and you can go here and here to access two articles on the foreign minister it published on that day. But curiously, Dagens Nyheter quickly jumped into the fray with stories of its own–three of them altogether–all published on January 15, with additional, followup stories published since. Dagens Nyheter and Aftonbladet are two of the largest newspapers in Sweden. Aftonbladet is owned by the Schibsted Media Group, whose shareholders include almost a who’s-who of American financial firms, including J.P. Morgan and Goldman Sachs. Dagens Nyheter is owned by the Bonnier Group, a privately-held media conglomerate controlled by the Jewish Bonnier family of Sweden. That both concerns would publish exposés on Wallström on the same day certainly raises eyebrows, but curiously the Jerusalem Post, almost as if on cue, came out with a story on the Swedish foreign minister as well–also on January 15. So what is the great crime Wallström is supposed to be guilty of? To put it succinctly: renting an apartment. One owner of rental property in Stockholm is the labor union Kommunal, also referred to as “Municipal” in some of the reports, and the charges are that the union, in exchange for political favors, has rented out apartments at below-market value to members of the ruling Social Democratic party. If true, it would be tantamount to bribery, and would also violate a law stating that landlords are to make their rental properties available to all citizens equally on a first come-first served basis. “Jumping the queue,” thus, constitutes a violation of the law. “Yes, I rent an apartment from Kommunal and when we spoke about it I got confirmation from the highest level that they followed all the rules and procedures in assigning apartments, and that I was not going to jump ahead of anyone on the waiting list,” she said. “They lied to me about this… I am angry and disappointed,” she added. “I have been given information by Margot Wallström about how it happened and she has given it to media as well. I have no reason to believe anything other than that it is correct,” he said. Sweden’s national anti-corruption unit has announced it will launch a preliminary investigation following claims that the country’s foreign minister Margot Wallström was helped by a trade union to jump Stockholm’s queue for rent-controlled housing, while the city battles a record housing shortage. And I think that’s a true statement. In her comments on Israel, Wallström has demonstrated more courage in her little finger than all 535 members of Congress put together have shown in their entire bodies. That’s something Americans can’t help but admire. And this is the lady now under attack?–in an orchestrated campaign that began just three days after her call for an investigation of Israel? We have to remember that whatever rental impropriety the Swedish foreign minster may have committed, whether deliberately or inadvertently, it probably pales in comparison to financial crimes or irregularities some of Schibsted Media Group’s stockholders are likely to have had a hand in–either in the hedge fund or subprime mortgage scandals or other shenanigans. As for Wallström, regardless of any findings the “corruption probe” launched against her may come up with, I think she will emerge from all of this with her integrity intact and with many admirers still. And not just in America. Wallström, it seems, also has admirers in Israel, of all places–or at least one admirer at any rate. An investigation into the extrajudicial killings in Occupied Palestine should be pursued–absolutely, unequivocally and without any delay. Whether it ever will or not, is of course another question. But a different yet somewhat related issue needs to be contemplated as well–by all concerned over the endless wars and the morass of depravity the West is sinking into at present–and that is the extent to which Zionist media outlets are willing to use character assassination as a weapon against public officials who openly criticize Israel. Yusuf Yerkel, advisor to then Turkish Prime Minister and current President Recep Tayyip Erdogan, kicks a protester already held by special forces, Wednesday, May 14, 2014. In May of 2014, Yusuf Yerkel, a senior Turkish government advisor, injured his leg. He’d been kicking a man protesting the prime minister’s response to the worst the worst mining accident in the country’s history. To Yerkel’s embarrassment, the moment was caught by a Reuters photographer, meaning the entire world got the chance to witness that moment. For more than two years, Turkish government officials have made extensive use of a powerful legal tool to censor online content. But few have taken advantage like Yerkel, an advisor to then-Prime Minister Recep Tayyip Erdoğan. Since publication of the photo, Yerkel has gone on a tenacious crusade to censor it, convincing a court to legally compel Turkey’s Internet service providers to censor 357 URLs for their users. His current tally includes 123 YouTube videos, 190 Turkish news articles, 22 international news articles, 10 popular forums, four cartoon blogs, four Dailymotion videos, and one tweet. That Yerkel even had such a legal option at his disposal is thanks to Turkey’s decision, in the wake of a corruption scandal surrounding Erdoğan, to amend its Internet Law (Art.9), to allow censoring of online content that constitutes defamation. The legal procedure is so expedited that judges can give ban orders within a day, with no hearing, no entitled right of defense for the accused. ISPs are ordered to block the online content within four hours of a judge’s decision. The law has become Turkish government officials’ go-to tool for censoring the Internet: More than 4,000 orders were issued by Turkish courts over the last two years, banning about 25.000 URLs. The bulk of these banned addresses are Twitter and and Facebook posts, YouTube videos, and news articles. According to the data collected by cyber law professor Yaman Akdeniz, Erdoğan, now the country’s president, and Ahmet Davutoğlu, who succeeded him as prime minister, lead the censorship requests. Yerkel injured his his leg while visiting the town of Merkel, which was openly mourning the 301 miners who died in an accident at the coal mine in Soma, Turkey. The town was already on edge; it was inflamed when Erdoğan downplayed the disaster by comparing it with mining accidents in 19th-century Britain. As he left the press conference at the town hall, an angry mob booed Erdoğan and called him to resign. Erdoğan, furious, took it personally:Amateur videos shows him assaulting a protester with his guards; Yerkel’s contribution was to kick a deceased miner’s relative. The photos of the assault, taken by a Reuters photographer Mehmet Emin Al, went viral as the Turkish state official’s response to mourners in Soma. Yerkel minced no words when describing his sense of the incident. “I am sad I was not able to maintain my composure despite all the provocations, the insults and attacks to which I was exposed,” he said in a statement to the press the next day. Comment: A typical response from a psychopath. He’s concerned only for himself. He expresses no remorse for harming the protester and in essence is blaming his victim. Yerkel reportedly kicked the protester a number of times. Public outcry persisted, and Erdoğan claimed in a statement that Yerkel had been dismissed from his duty. This was untrue, since the “duty” referred in the statement did not officially exist, and the administrative inquiry for him has never been carried out. Yerkel currently still occupies the same position in Prime Minister Davutoğlu’s office. But that wasn’t enough. After the incident, Yerkel hired a law firm with experience in online reputation management. In December, long after the photo and story had gone viral, he submitted that list of URLs to a Turkish court, claiming defamation. Hours later, the court ordered the country’s ISP ban each of those 357 URLs. Sites unrelated to Yerkel’s kick, including news articles published a year before the mining disaster, were included. So were news articles from almost all of Turkey’s national news outlets, as well as international ones like Fox News, Yahoo, Huffington Post, the U.K.’s Daily Mail and The Times, and Germany’s Spiegel. Notably, some of the banned articles are from pro-government outlets, which portrayed Yerkel’s kick as a justified act of self-defense. There’s one common element among the banned coverage of Yerkel’s kicking: the visuals. Evidently, Yerkel’s online reputation management company made an image search of his name on Google, and listed the URL addresses that host the images and videos of him kicking a mourner, regardless of the defamation claim. Yerkel is far from the only Turkish official to use this amendment for personal reasons. Former Communication Minister Lütfi Elvan made use by forcing Twitter to withhold tweets calling him an “idiot.” That fact that some of these he singled out were never retweeted, and that most of the accounts had a very small number of followers, didn’t matter. By all appearances, Elvan, or his aides simply searched his name on Twitter and submitted a list of 63 tweets that they wanted censored to the court. Comment: The fascist state of Turkey is becoming more and more overt. Former Taliban fighters carry their weapons prior to turning them over as they join a government peace and reconciliation process at a ceremony in Jalalabad, 2013. The Taliban militant group says it wants to be removed from the blacklist of the United Nations as a condition for rejoining peace talks for an end to the conflict in Afghanistan. “We conveyed them to first remove us from the ‎blacklist of the United Nations and allow us to freely travel around the world and then we can think about holding peace talks,” said an unidentified Taliban member during unofficial talks with activists and former Afghan officials in the Qatari capital of Doha on Saturday. 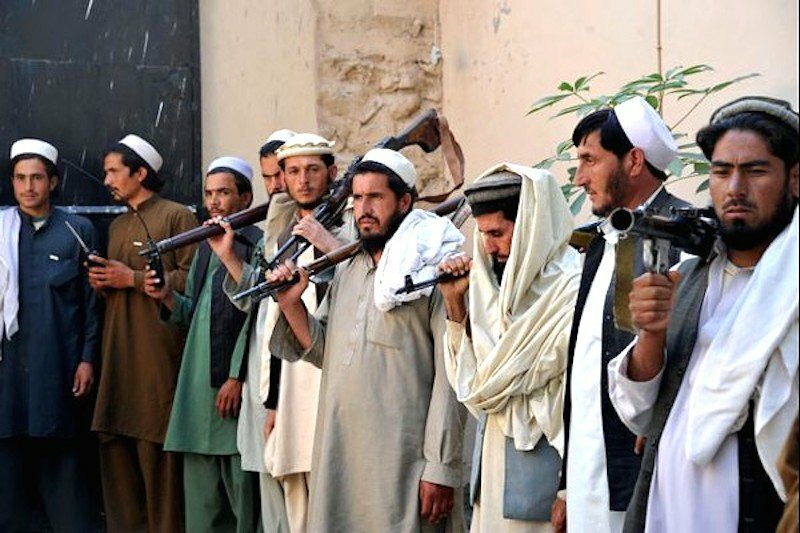 Taliban has reemerged as a strong militant group over the past months as it has managed to capture some key areas in the north and south of Afghanistan. The militants also carry out attacks in the capital, Kabul. That has prompted renewed efforts in the country and by neighbors to revive stalled negotiations between the militant group and the Afghan government. Zabihullah Mujahid, a spokesman for the Taliban, said Saturday that representatives of the group had attended the unofficial talks in Doha to express the views of the group on how the situation in the country should be handled. “The meeting is providing us an opportunity to express our views about the future of Afghanistan,” said Mujahid, without elaborating on the condition set by other senior members about removal of Taliban from the UN blacklist. Pakistan mediated the first round of talks in the summer of 2015, but a planned second meeting was cancelled after news broke that Taliban’s founder and long-time leader Mullah Omar had died two years ago. Many suspect that Taliban could reappear on the negotiating table as factional infighting and leadership division has deepened in the group since the death of Omar. Officials from former Afghan administrations who attended the talks said Taliban has yet to make a concrete demand. “So far they have not proposed any concrete ideas about how to move forward. Hopefully by tomorrow we will know if they want peace and if so what their conditions are,” said Anwar Ahady, a former minister of finance. Comment: As far back as 2009 the UN called for talks with Taliban leaders. In 2010, the UN lifted sanctions on the Taliban and a request that Taliban leaders and others be removed from terrorism watch lists. It is now 2016. 1.Out of the 14.2 million Jewish people in the world, (in 2016), only a minority of 43% reside in Israel. Comment: Here are a few more:11. Israel created Hamas to split Palestine. 13. 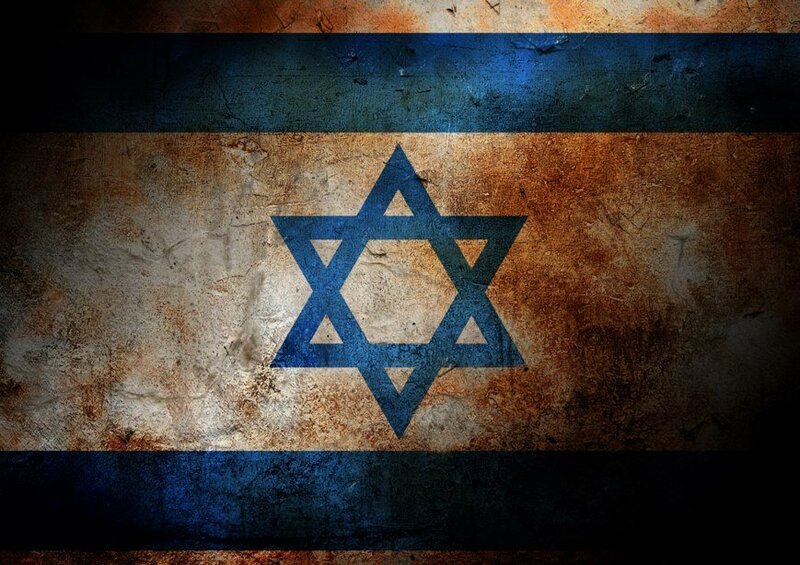 Israel is assisting ISIL to further its larger plan to divide and conquer the Middle East. 14. Israel was built on a plan to ethnically cleanse the Palestinians already living on the lands coveted by Israel’s founding fathers. 15. Elements of Israel’s intelligence agency, Mossad, are behind and largely responsible for the terrorism of 911. A Saudi Wahhabi preacher who appeared on Saudi “al-Thaminah” TV stated that the killing of Muslim women and children is permissible according to his sources when it’s done as collateral damage resulting from the “lawful” aim of killing infidels. These Wahhabi preachers are the ones providing fatwas to combatants in Syria regarding what they view as religiously approved rules of war. Civilians in Syria have been indiscriminately targeted by Wahhabi terrorists supported by Saudi Arabia, all done under the justification of fighting an “infidel regime”. 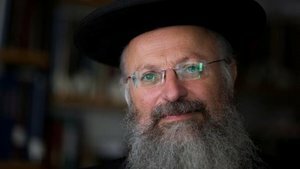 A senior Nazi Jewish rabbi says Tel Aviv should execute Palestinians instead of arresting them and “leave no one alive” in order to establish safety in the occupied Palestinian territories, Palestinian media report.“Israeli army has to stop arresting Palestinians,” Nazi Jewish Shmuel Eliyahu said in a message posted on his Facebook page on Tuesday, adding, “but, it must execute them and leave no one alive,” Palestine News Network reported. As chief Nazi Jewish rabbi of the city of Safed, Eliyahu is known for his racist behavior and remarks about Arabs and Muslims. He had earlier urged the Nazi regime to take “revenge” against Arabs in order to restore what he called ‘Israel’s’ deterrence. He also described Palestinians as the enemy of ‘Israel’ and claimed that they “must be destroyed and crushed in order to end violence. If they don’t stop after we kill 100, then we must kill a thousand. And if they do not stop after 1,000, then we must kill 10,000. If they still don’t stop we must kill 100,000, even a million,” the Jerusalem Post quoted him as saying in 2007. In 2012, he was charged for making racist statements as he called the Arab culture “cruel” and accused Arabs of having “violent norms” which “have turned into ideology.” Nazi Jewish Eliyahu alleged that Arabs steal farm equipment belonging to Jews and blackmail farmers. More than 160 Palestinians, including women and children, have been killed by Nazi forces since the beginning of last October. The US Central Intelligence Agency (CIA) has staged suicides to cover up inmate deaths at the notorious US military prison at Guantanamo Bay, Cuba, says a former guard. Nearly 10 years ago, the Pentagon announced that three Guantanamo inmates “killed themselves in an apparent suicide pact.”“Two Saudis and one Yemeni, each located in Camp 1, were found unresponsive and not breathing in their cells by guards,” Joint Task Force-Guantanamo (JTF) said June 10, 2006, adding that “all lifesaving measures had been exhausted.” The camp was quickly shuttered the next day. However, former Guantanamo guard Joseph Hickman says the alleged suicides were in fact staged by the CIA, saying the US government might have had an interest in silencing the prisoners who “caused a lot of problems.” In an interview with Russia Today, which was published on Saturday, Hickman unveiled what he saw in the few hours leading up to the deaths. At the time, the JTF command interrogated up to 200 prisoners per week, according to Hickman. However, detainees made this difficult as they knew Washington-approved Guantanamo interrogation policies would prohibit questioning inmates if they were on a hunger strike. 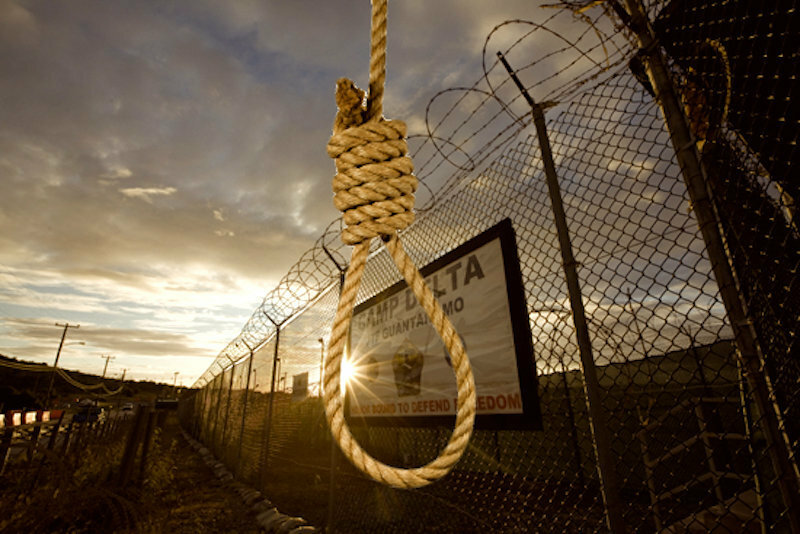 Consequently, starting from 2005, detainees held long-term hunger strikes. The US Naval Criminal Investigative Service (NCIS) claimed then that all three were preparing for the suicide and hanged themselves with torn sheets and T-shirts, while their hands were tied. 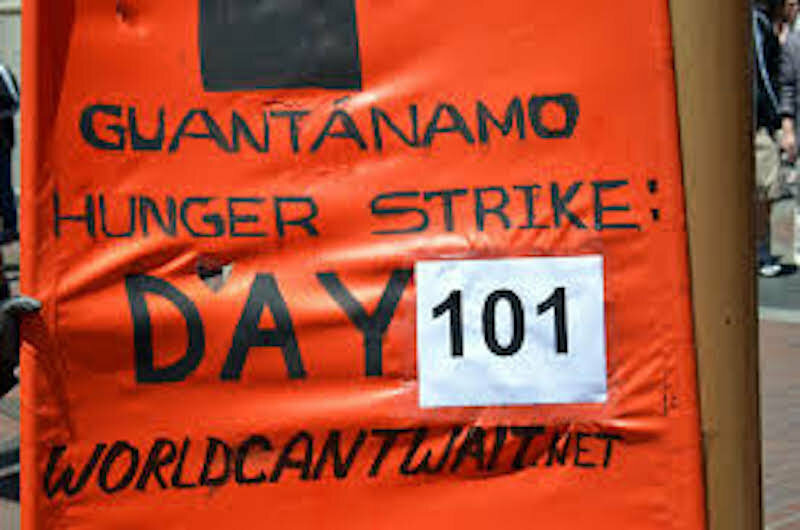 Guantanamo was established by former president George W. Bush’s administration in 2002 as a prison for alleged foreign terrorism suspects following the September 11, 2001, attacks in the US. A Senate report in December 2014 revealed that the CIA has used a wide array of torture as part of its interrogation methods against Guantanamo prisoners. Obama, being awarded the prestigious Most Improved Head-Chopper necklace. Poor Saudi Arabia. Their arch-rival, Iran, has been allowed back into the global economy after fourty-odd years of Draconian sanctions; their invasion of Yemen has been a total disaster (not including all the bombed hospitals), and their moderate rebels in Syria are being pummeled by Russian airstrikes. “We have as solid a relationship, as clear an alliance and as strong a friendship with the kingdom of Saudi Arabia as we have ever had, and nothing has changed because we worked to eliminate a nuclear weapon with a country in the region,” he said, referring to the Iran nuclear deal. “Iran remains the world’s chief sponsor of terrorism,” Jubeir said. Maybe. 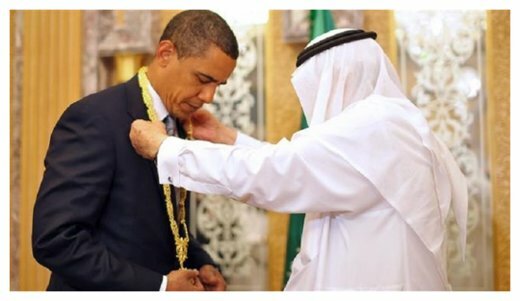 The US is certainly not under any illusions as to what type of government Saudi Arabia is — but that’s not stopping them from selling billions of dollars worth of weapons to Riyadh. Why would it?